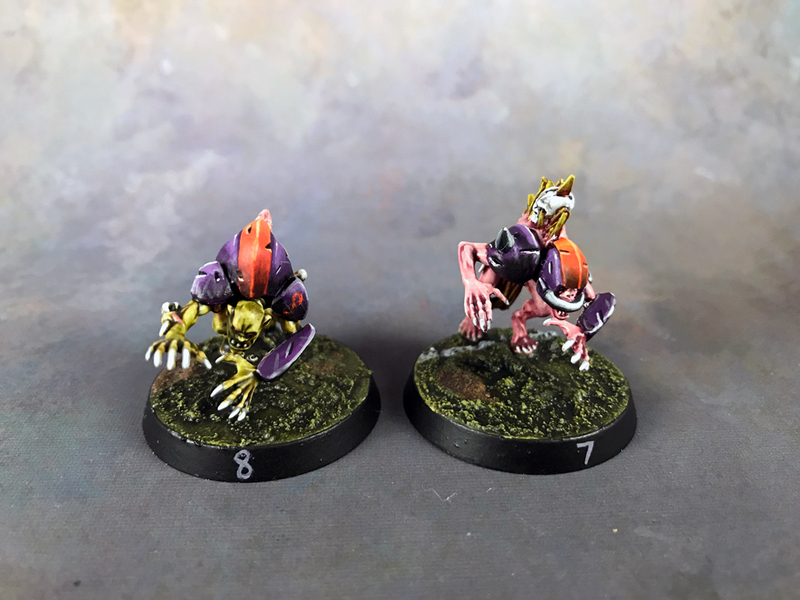 So, the 4th season of Blood Bowl at my FLGS is going strong. This is the first season I’ve run where every single player has played at least one of their games. I know that doesn’t sound like much, but considering every previous season has had 2-3 players who never play a single game, it’s a huge improvement! 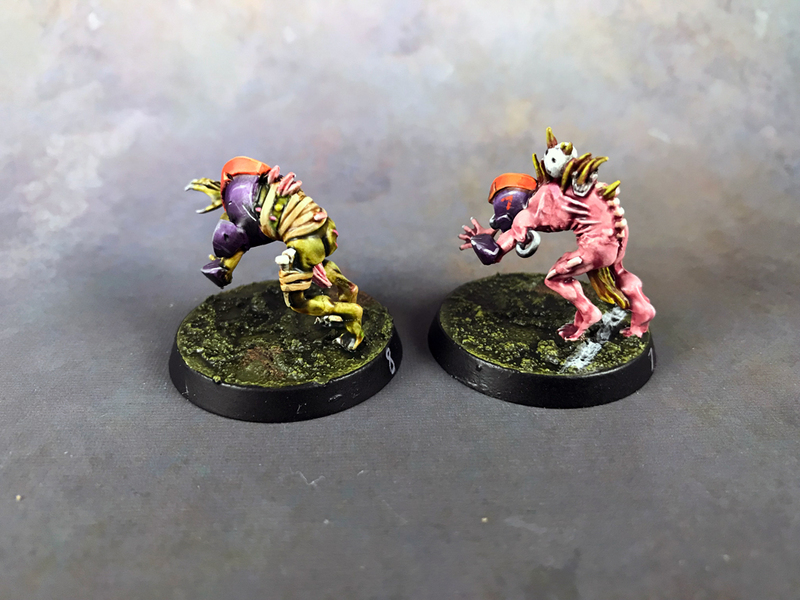 I did do one match report when my Undead faced Nurgle, but so far that’s all I’ve done. Between some very hard fought games requiring lots of attention, or just forgetting to take pictures, I’m slacking on putting anything up here for it. That being said, right now my Undead are 5 wins and 1 draw. I have 2 games left in the regular season and my team is holding strong at a 1,420,000 TV. The TV would be better than that, however, a Troll in my last game killed my best Mummy. That Mummy, named Phanth, had rolled doubles to get Block previously, and was leading the league in casualties. A bit of irony there I feel. Still, that’s Blood Bowl for you and you gotta roll with the deaths; it’s just the nature of the game. 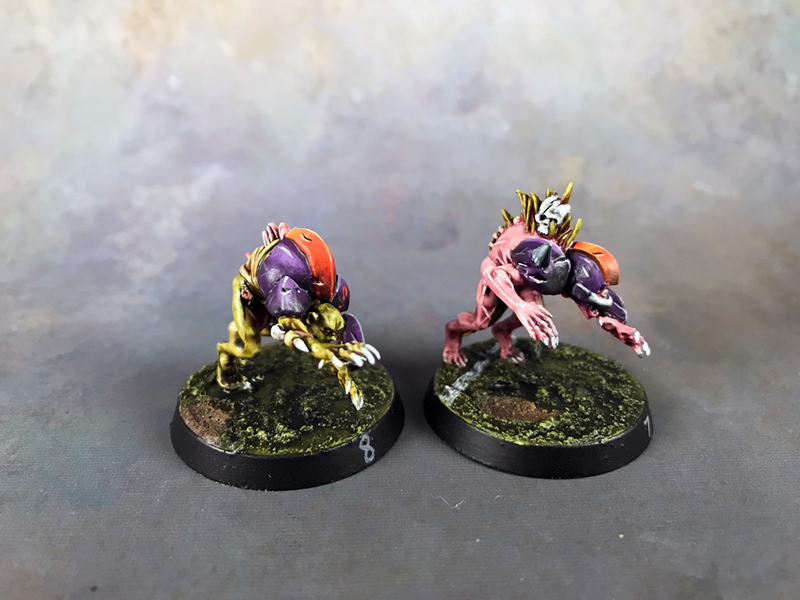 I almost forgot, I painted up two new Ghouls for my team. 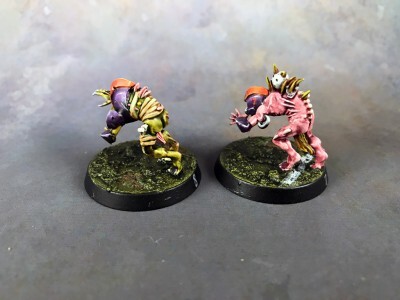 Well, first I had to convert them from Fantasy Ghouls. My pictures of the sculpting process are kind of lousy, so I really don’t have any of those to share. However, here’s some shots of them all finished. I sculpted all the armor on those Ghouls, including the helmet. They were nekked when I started and I wanted them to fit in, so I busted out the green stuff and went to work. I like how it all came out but I’m not going to claim it’s amazing work either (the sculpting). Still, it’s better than I could have managed a few years ago, so I’m making progress and that I’m happy with. If you want to see the entire team then check out my Undead showcase. You might have noticed the amount of articles that were posted in March – it was a lot! March was the busiest the blog has been (in terms of content posted) since December 2017. A chunk of that was Caladaris participating in #MonsterMarch3 with some cool stuff he managed to get done. Along with that, I’ve been doing a lot of behind the scenes stuff here to continually improve the site and make it more accessible. Also, you’ll notice I’ve been playing with the featured images on many articles, creating a branding of sorts. I won’t bore you all with details, but suffice to say that I spend a lot of time working on those little things that get overlooked yet make all the difference in the world. 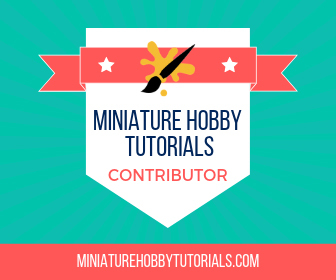 Sorry, but I’ll keep that one a bit close to my chest at the moment ;) However, the book is about the hobby and is a tutorial and guide. Wondering why I’m writing a book instead of blogging about it? Two reasons. One is because I’m looking to reach a wider audience. I’ll be doing the book in electronic format, so you can snag it for your various digital devices. The other reason is that it’s all stuff I’ve said here, but now it will be compiled into a singular source. Anyway, I’ve still got a long way to go with the book. I’ve covered quite a bit in it already, but I still need to work through the painting process, documenting it, and writing about it. I’m taking my sweet time with this because I want my first outing in this venue to be something I put the required work into and not rushed out the door. So, what’s everyone else up to lately? Busy hobbying? 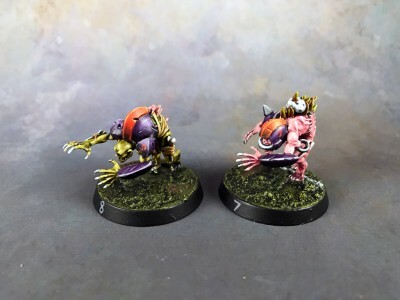 Blood Bowl is like the internet. 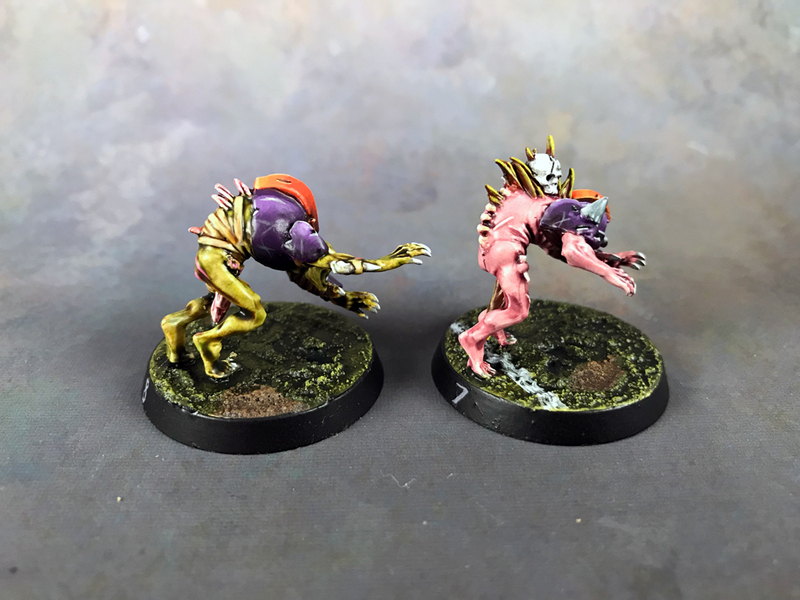 Sometimes, you just get Trolled ;) The new Ghouls look cool, tho! Very cool news about the book. I’ll be interested to see how that turns out. Thanks on the Ghouls. I enjoy sculpting, even if I’m not great at it, so it was a nice little project. Fingers crossed on the book thing. Been doing some research, writing, and generally getting ready. I’m not expecting anything major with it, but if I can sell a few hundred e-books then I’ll consider it a success. I guess I did alright with the sculpting then ;) I figured when it was all painted and battered then the little mistakes wouldn’t matter so much. Still a ways out on the book, and it’s been a seed of a thought for over a year, but I’ve finally put enough effort into it that I feel it’s worth mentioning instead of it being a fleeting moment.